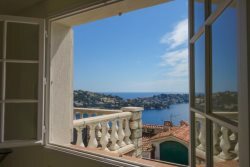 Cote d`Azur offers about all the fun | French Riviera Rental. So enamored was Cocteau of this painterly fishing port that he decorated the 14th century Chapelle St Pierre with images from the life of St. Peter and dedicated it to the village s fishermen. Working in crayon and chalk fixed with paraffin, he covered the walls with earthy, simplistic drawings, heavily outlined and surprisingly even disappointingly realistic for this master of the surreal. Open: Tues. Sun., 10 noon and 2 to 6. The stalwart 16th-century Citadelle St Elme, restored to perfect condition, anchors the harbor with its broad, sloping stone walls. Beyond its drawbridge lie the city's offices and a group of minor gallery museums. Whether or not you stop into these private collections of local art (all free of charge), you are welcome to stroll around the inner grounds and circle the imposing exterior. The modest Baroque Eglise St Michel, just above Rue Obscure, contains a movingly realistic sculpture of Christ carved in fig wood by an anonymous 17th century convict. Villefranche s Old Town is made for wandering, with steeply stepped streets leading up into alleys and passageways arching over the cobbles. The extraordinary 13th century Rue Obscure (literally, dark street) is entirely covered by vaulted arcades: it sheltered the town s residents when the Germans fired their parting shots ,an artillery bombardment,near World War II's end. From the crest-top Jardin Exotique (Tropical Garden), full of rare succulents, you can pan your videocam all the way around the hills and waterfront (and then, just a few feet from the entrance, take a time-out lunch at the Nid d Aigle, an inexpensive eaterie featuring focaccias and salads, quaintly set on stone levels rising up around a tall tree). But if you want a prayer of a chance of enjoying the magnificence of the village s arched passages, stone alleyways, and ancient fountains, come at dawn or after sunset or (if you have the means) stay the night, but spend the midday elsewhere. The church of Notre Dame, consecrated in 1772, glitters inside with Baroque retables and altarpieces. Eze s tourist office, on Place du General de Gaulle, can direct you to the numerous footpaths,the most famous being the Sentier Friedrich Nietzsche ,that thread Eze with the coast's three corniche highways. Eze Village is the famous hilltop destination, but Eze extends down to the coastal beach and the township of Eze sur Mer : on either side a vast Grande Corniche Parc keeps things green and verdant. Today Beaulieu is usually spoken of in the past tense and has taken on a rather stuffy ambience, though its small beach attracts families with children. But on the Promenade Maurice Rouvier, a paved pedestrian path which begins not far from the Villa Kerylos, you can stroll the waterfront, past grand villas and their tropical gardens, all the way to St Jean Cap Ferrat. The 30 minute walk winds seaside along the Baie des Fourmis (Bay of Ants), whose name alludes to the black rocks crawling up from the sea. The name doesn t quite fit, but the walk will give you great views of the sparkling Mediterranean and surrounding mountains. One manifestation of its Belle Epoque excess is the extravagant Villa Kerylos, a mansion built in 1902 in the style of classical Greece. It was the dream house of the amateur archeologist Theodore Reinach, who commissioned an Italian architect to surround him with Grecian delights: cool Carrara marble, alabaster, rare fruitwoods, a mosaic lined bath/pool worthy of a 1950s toga movie, and a dining room where guests draped themselves on the floor to eat a la grecque. Open: Mid-Feb.-June and Sept.-Oct., daily 10-6; Nov.-mid-Feb., weekdays 2-6, weekends 10-6; July and Aug., daily 10-7. At the center of the Rock's plateau, the broad Place du Palais fills up with crowds at 11:55, when the poker faded guards,in black in winter, white in summer,change shifts, or, as the French say, relieve themselves. They are protecting hallowed ground: the Palais Princier, where the royal family officially resides (they have plenty of other houses up and down the coast). You can tell the re home if the family banner flies from the mast above the main tower. A 40-minute guided tour (summer only) of this sumptuous chunk of history, first built in the 13th century and expanded and enhanced over the centuries, reveals an extravagance of 16th- and 17th-century frescoes, as well as tapestries, gilt furniture, and paintings on a grand scale. One wing of the palace, open throughout the year, is taken up by the Musee Napoleon, filled with Napoleonic souvenirs ncluding The Hat and a tricolor scarf and genealogical charts. (The Grimaldis and the Bonapartes were related, you see.) There is an abundance of military paraphernalia, from uniforms to medals, etchings, and banners, all from the Prince's private collection. On the broad plateau known as Le Rocher, or the Rock, the majority of Monaco's touristic sights are concentrated with tidy, self-conscious charm. This is the medieval heart of Monaco, and where its cathedral, palace, and the Oceanography Museum can be found. You can either climb up a raked rampe from the Place d'Armes, behind the right corner of the port, or approach it by elevator from the seafront at the port s farthest end (past the Yacht Club). Place du Casino is the center of Monte Carlo and the Casino is a must see, even if you don't bet a sou. Into the gold-leaf splendor of the Casino, where fortunes have been won, shirts lost, and any number of James Bond scenes filmed, the hopeful traipse from tour buses to tempt fate beneath the gilt-edged rococo ceiling. Follow the flow of crowds down the last remaining streets of medieval Monaco to the Cathedrale de l'Immaculee Conception, an uninspired 19th century version of Romanesque. It harbors nonetheless some wonderful artworks, including an altarpiece painted by Brea in 1500. Now shielded behind glass at the north transept, it is, perhaps, his masterwork, depicting with tender detail the steady gaze of St Nicolas; he is flanked by small panels portraying other saints, graceful, chastened, and demure. Despite the humility innate to the work, it is framed with unusual flamboyance in ornate gilt wood. Just beyond the Brea polyptych, enter the curve of the apse to see the tombs of the Grimaldi clan. The first on entering the apse from the left is simply labeled Gracia Patricain, Principis Rainerii; Princess Grace s death date 1982 figures in Roman numerals. It is easy to identify her tomb without reading the inscription; even today it is heaped with fresh flowers. On the terrasses de Fontvielle are two remarkable sights (opened in 2003): the Collection des Voitures Anciennes (Collection of Vintage Cars) and the Jardin Animalier (Animal Garden). The former is a collection of Prince Ranier s vintage cars from a De Dion Bouton to a Lambourghini Countach; the latter, a mini zoo housing Prince Ranier s animal collection an astonishing array of wild beasts including monkeys and exotic birds. Six hundred varieties of cacti and succulents cling to a sheer rock face at the Jardin Exotique (Tropical Garden), a brisk half-hour walk west from the palace. The garden traces its roots to days when Monaco s near tropical climate nurtured unheard of exotica, amazing visitors from the northlands as much as any zoo. The plants are of less interest today, especially to Americans familiar with southwestern flora. The views over the Rock and coastline, however, are spectacular. Also on the grounds, or actually under them, are the Grottes de l'Observatoire ,spectacular grottoes and caves a drip with stalagmites and spotlit with fairy lights. The largest cavern is called La Grande Salle and looks like a Romanesque rock cathedral. Traces of Cro Magnon civilization have been found here so the grottoes now bear the official name the Musee d'Anthropologie Prehistorique. Open: Daily, mid May mid Sept., 9 7; mid Sept. mid-May, 9 6. In the 1990s they added Les Thermes Marins de Monte Carlo (Sea Baths of Monte-Carlo), a seawater therapy treatment center that stretches between the landmark Hotel de Paris and its sister, the Hermitage. Within its sleek, multilevel complex you can pursue every creature comfort, from underwater massage to seaweed body wraps to light, elegant spa style lunches almost all with views over the port. From Place des Moulins there is an escalator down to the Larvotto Beach complex, artfully created with imported sand, and the Musee National Automates et Poupees, housed in a Garnier villa within a rose garden. There s a beguiling collection of 18th and 19th century dolls and mechanical automatons more than 400 altogether. At the prow of the Rock, the grand Musee Oceanographique (Oceanography Museum) perches dramatically on a cliff, its many levels plunging dramatically to the sea. The splendid Edwardian structure was built under Prince Albert Ier to house specimens collected on amateur explorations, and evokes the grandeur of the days of imperialist discovery and the old National Geographic Society. Both the museum and its research organization, the Institut Oceanographique (Oceanography Institute), were led by Jacques Cousteau (1910 to 1997) from 1957 to 1988. Sumptuously decorated with mosaics of sea life, beveled oak display cases, and gleaming brass, the museum contains a collection somewhat pared down from its heyday. The main floor displays skeletons and taxidermy of enormous sea creatures, including a 6 and a half foot wide Japanese crab, and a magnificent life scale model of a sperm whale, created from first hand observation by the museum s conservateur/artist Maurizio Wurtz. But the reason the throngs pour into this landmark is its famous aquarium, a vast complex of backlit tanks at eye level containing every imaginable genus of fish, crab, and eel. The wide open piranha pond is a crowd pleaser. For a fine view and a restorative drink, take the elevator to the roof terrace. Open: Daily, Jan. Mar., 10to 6; Apr to June, 9:30 to 7; July and Aug., 9:30 to 7:30; Sept., 9:30 to 7; Oct.to Dec., 10to 6. From the Promenade, hop Bus 7 up Boulevard Gambetta and get off at either the Thiers Gambetta or Parc Imperial stop, or walk west from the train station to visit this magnificent Russian Orthodox cathedral. Built in 1896 to accommodate the sizable population of Russian aristocrats who had adopted Nice as their winter home, this Byzantine fantasy is the largest of its kind outside the motherland. The church has no fewer than six gold leaf onion domes, rich ceramic mosaics on its facade, and extraordinary icons framed in silver and jewels. The benefactor was Nicholas II himself, whose family attended the inauguration in 1912. Open: Daily, May Sept. 9 to noon and 2:30 to 6, Oct. 9:15 to noon and 2:30 to 5:30, Nov.to mid-Feb. 9:30to noon and 2:30 to 5, mid to Feb.to Apr. 9:15 to noon and 2:30 to 5:30. Named for the 15-year old Palestinian martyr whose body washed ashore at Nice to become the city's patron saint many centuries ago, this superb ensemble of columns, cupolas, and symmetrical ornaments dominates the Old Town, flanked by its own 18th-century bell tower and capped by a glossy ceramic-tile dome. The cathedral s interior, restored to a bright color palette of ocher golds and rusts, has elaborate plasterwork and decorative frescoes on every surface. Look for the Chapelle du St Sacrement in the north transept, dating from 1707; its twisted marble columns and exuberant sculpture are worthy of Bernini and St. Peter's in Rome. If you step inside only one Baroque chapel here, this superb 1740 structure on Cours Saleya should be it. A superbly balanced piece montee of half-domes and cupolas decorated within an inch of its life with frescoes, faux marble, gilt, and crystal chandeliers, it's the ultimate example of Nice Baroque at its most excessive and successful. A magnificent Brea altarpiece crowns the ensemble. Though nothing remains of this once massive medieval stronghold but a few ruins left after its 1706 dismantling, the name chateau still applies to this high plateaulike park, from which you can take in extraordinary views of the Baie des Anges, the length of the Promenade des Anglais, and the red-ocher roofs of the Old Town. Children can let off steam at the playground, which has panoramic views and a bit of shade. High over Nice and its chateau bearing hill, this fully functioning monastery, originally established in the 16th century, is worth the pilgrimage. There s a lovely garden, replanted following the original 16th-century lines. There's also the Musee Franciscain (Franciscan Museum), a didactic museum tracing the history of the Franciscan order, and a 15th-century church. The pretty, single-nave chapel contains three works of remarkable power and elegance by Brea: the early Pieta (1475) flanked by portraits of High Renaissance grace; the Crucifixion (1512); and the Deposition (1520), with intense suppressed emotion. This contemporary building houses a dense and intriguing collection of objects extracted from digs around the Roman city of Cemenelum, which flourished from the 1st to the 5th centuries and dwarfed its waterfront neighbor with a population of 20,000 in its prime. The examples of Greek and Italian treasures ceramics, jewelry, and coins attest to the cosmopolitan nature of coastal commerce. Behind the museum, you can wander through the ruins and digs, including the thermes (baths) and an early Christian baptistery. Just beyond, the Roman arenes (arena) seats 4,000 for the annual jazz festival. Superbly displayed in a modern structure bathed in light and surrounded by coastal greenery, this is one of the finest permanent collections of the artist s late works. Included here are 17 vast canvases on biblical themes, each in emphatic and joyous color schemes; they celebrate the stories of Adam and Eve, Noah, Abraham, and Moses, and the sensual, mystical Song of Solomon, dedicated to his wife. Preparatory sketches, sculptures, and ceramic pieces enhance the exhibit, as well as a tapestry and, outside, a mosaic. Open: May-Oct., Wed.-Mon. 10-6; Nov.-Apr., Wed.-Mon. 10-5. In the 60s, the city of Nice bought this lovely, light bathed 17th century villa, surrounded by the ruins of Roman civilization, and restored it to house a large collection of Henri Matisse s works. Matisse settled in Nice in 1917, seeking a sun cure after a bout with pneumonia, and remained here until his death in 1954. During his years on the Cote d Azur, Matisse maintained intense friendships and artistic liaisons with Renoir, who lived in Cagnes, and with Picasso, who lived in Mougins and Antibes. Settling first along the waterfront, he eventually moved up to the rarified isolation of Cimiez and took an apartment in the Hotel Regina (now an apartment building), where he lived out the rest of his life. Matisse walked often in the parklands around the Roman remains and was buried in an olive grove outside the Cimiez Cemetery. The collection of artworks includes several pieces donated to the city by the artist himself before his death; the rest was donated by his family. In every medium and context paintings, gouache cutouts, engravings, and book illustrations it represents the evolution of his art, from Cezanne like still lifes to exuberant dancing paper dolls. Even the furniture and decorations speak of Matisse, from the Chinese vases to the bold-printed fabrics with which he surrounded himself. A series of black and white photographs captures the artist at work, surrounded by personal and telling details. This aristocratic palace was built in 1648 for Jean Baptiste Lascaris Vintimille, marechal (marshal) to the duke of Savoy, in a manner grand enough to put the neighboring chapels to shame. The magnificent vaulted staircase with its massive stone balustrade and niches filled with classical gods is only surpassed in grandeur by the Flemish tapestries (after Rubens) and the extraordinary trompe-l'oeil fresco of the fall of Phaethon. On the ground floor an 18th-century pharmacy has been imported from Besancon and reconstructed, complete with built in wooden cabinets and a lovely collection of faience jars. There s also a collection of cookware and tools from daily life at the other end of the income scale. Like much of Old Nice, this is a quirky, atmospheric museum, worth a stopover as you explore the backstreets. Encircled by grand vaulted arcades stuccoed in rich yellow, this broad pentagon of a square could have been airlifted out of Turin: it s looking especially majestic now that work on the tramway is finished. In the center the shrinelike fountain-sculpture of Garibaldi surveys the passersby, who stroll under the arcades and lounge in its cafes. Garibaldi is held in high esteem here: the Italian general fought beside his own sons in the French ranks during the war of 1870. As Cours Saleya is the heart of the Old Town, so this broad and noble square is the heart of the city as a whole. It's framed by an ensemble of Italian style arcaded buildings first built in 1815, their facades stuccoed in rich red ocher. At its center is a heroic fountain in which thick-muscled bronze figures surge from the water; nearby, the new city tram sweeps though between modern sculptures on pedestals that light up at night. The central activities of the February Carnaval are traditionally held here, though they have been moved to the Promenade des Anglais during work on the tramway. Behind the Place and following the ancient riverbed, stretches the inviting Escape Massena, a long public plaza with fountains, permanent performance spaces, grassy park grounds, and dozens of skateboarders at any given moment. At the southwest tip of the peninsula, an ancient battery is home to the Musee Naval et Napoleonien (Naval and Napoleonic Museum), where you can peruse a collection of watercolors of Antibes, lead soldiers, and scale models of military ships. Next to the Phare de la Garoupe, the 16th century double chapel of Notre-Dame-de-la-Garoupe contains ex-votos and statues of the Virgin, all in the memory and for the protection of sailors. You can sample a little of what draws them to the site by walking up the Chemin de Calvaire from the Plage de la Salis in Antibes (about 1.2 km ), and taking in the extraordinary views from the hill that supports the old lighthouse, called the Phare de la Garoupe (Garoupe Lighthouse). Bordering the Cap s zillion dollar hotels and fabled estates is one of the most spectacular walks in the world: the Sentier Tirepoil, which runs about 1 and a half km (1 mi) along the outermost tip of the peninsula. It begins gently enough at the pretty Plage de la Garoupe (where Cole Porter, Picasso, and Gerard Murphy used to hang out), with a paved walkway and dazzling views over the Baie de la Garoupe and the faraway Alps. Round the far end of the cap, however, and the paved promenade soon gives way to a boulder studded pathway that picks its way along 50-foot cliffs, dizzying switchbacks, and thundering breakers (Attention Mort Beware: Death read the signs, reminding you this path can be very dangerous in stormy weather). On sunny days, with exhiliarating winds and spectacular breakers coming in from the sea, you ll have company (families, even), although for most stretches all signs of civilization completely disappear, except for a yacht or two. The walk is long, and takes about two hours to complete, but it may prove two of the more unforgettable hours of your life (especially if you tackle it at sunset). At the very tip of the Cap is the Villa Eilenroc, designed by Charles Garnier, who created the Paris Opera which should give you some idea of its style. The estate commands a vast acreage, threaded with paths and much of it given over to a grand and glamorous garden. Here, in the Roserie you can glimpse the even-grander Chateau de la Croe, whose shimmering white portico once sheltered the likes of Garbo and Onassis (it was bought in 2005 by a Russian syndicate, whose billionaires club will now use it as a winter palace, conjuring up the days of the 1920s, when exiled White Russians first colonized the Riviera). You may tour Eilenroc s grounds freely, but during summer months the house remains closed. But from September to June on Wednesdays visitors are allowed to wander through the reception salons, which retain the Louis Seize-Trianon feel of the noble facade. The Winter Salon still has its 1,001 Nights wall mural painted by Jean Dunand, the famed Art Deco designer; display cases are filled with memorabilia donated by Caroline Groult-Flaubert (Antibes resident and goddaughter of the great author); while the boudoir has boiseries from the Marquis de Sevigne s Paris mansion. Bring a discreet bag luncheon to enjoy on the terrace chairs overlooking the Bay of Millionaires and give thanks to Mrs. L.D. Beaumont, whose legacy allows us to experience her regal estate and what the Cap was like in its gilded age. Open: House: mid-Sept.-June, Wed. 9-noon and 1:30-5, closed July-Aug.; Gardens: mid-Sept.-June, Tues. and Wed. 9-5. On a cliff-top overlook at the Old Town s edge, the Romanesque Cathedrale Notre Dame du Puy contains no fewer than three paintings by Rubens, a triptych by the famed 15th century Provencal painter Louis Brea, and Lavement des Pieds (The Washing of the Feet, by the young Fragonard. Fragonard occupies a factory built in 1782; it displays a small collection of stills, perfume bottles, and necessaries for women s and men's toilettes. Guided visits are free, just reserve in advance for groups. Create your own fragrance workshops available. Galimard offers two-hour "studios des fragrances," during which the house "nose" will coach you in designing your own personally labeled scent (EUR 35, by reservation only). Closed: Sept.-June, daily 9-12:30 and 2-6:30, July-Aug., daily 9-6:30 Sun. The Musee d'Art et d'Histoire de Provence (Museum of the Art and History of Provence), just down from the Fragonard perfumery, has a large collection of faience from the region, including works from Moustiers, Biot, and Vallauris. Also on display in this noble 18th century mansion are santons (terra cotta figurines), furniture, local paintings, and folk costumes. The Musee International de la Parfumerie (International Museum of Perfume), not to be confused with the small museum in the Fragonard perfume factory that calls itself the Musee de la Parfumerie, reopened in October 2008 after a spectacular EUR 11 million renovation. Now twice its original size, it traces the 4,000-year history of perfume, cosmetics, and soaps with a display of 50,000 objects. Architect Frederic Jung created a transparent nave between the original museum and the two adjoining buildings and incorporated the 15th century ramparts that surround the museum into his striking design. Inside is a room equipped with pot bellied copper stills and old machines; labels guide you through the steps of production in different eras. It also has a series of displays of exquisite perfume bottles and toiletries. There s even Marie Antoinette's necessaire (travel kit). The picturesque Place aux Aires, below the central cluster of museums and perfumeries, is lined with 17th and 18th century houses and their arcades. Every morning a flower market covers the square in Technicolor hues. To lose yourself in the dense labyrinth of the Vieille Ville (Old Town), follow Rue Ossola down into the steep, narrow streets, enclosed on each side by shuttered houses five and six stories tall. Several little bakeries offer fougassette a la fleur d'oranger, a Grasse specialty profiting from the orange water created in its factories; the sweet, briochelike pastry is heavy with orange-blossom perfume.